An eighteenth birthday is one of the most significant events of a person’s life. 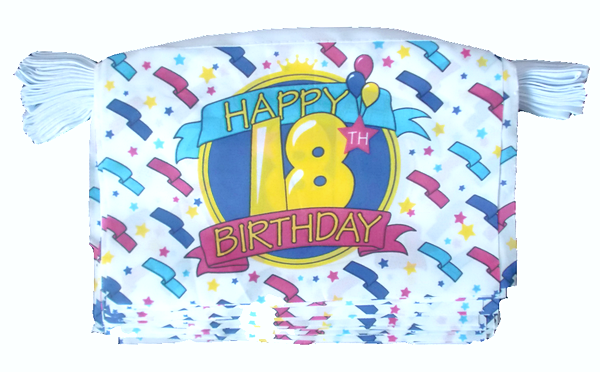 In various countries all over the world, turning eighteen symbolizes the transition of one’s journey from youth into adulthood. 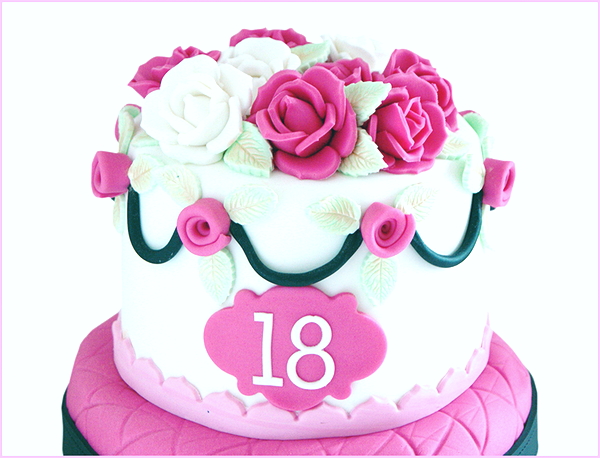 So if you know someone who is celebrating her 18th birthday, here are the top 60 eighteenth birthday wishes to give. I can never imagine growing up with a better friend. You are one of the few people who know just what to say to bring my spirits up. So here’s wishing you a beautiful eighteenth birthday! Happy eighteenth birthday to a wonderful, beautiful and smart friend. You will surely do great in this crazy world of adults! Happy 18th birthday to a wonderful friend I know. Thanks for being my best friend. You truly are a God’s gift to me. Happy birthday to a wonderful 18 year old. This is truly a fun time to celebrate your life, so enjoy! Happy eighteenth birthday! Thanks for being a great friend. This friendship is truly forever. Whether it is your 18th or 100th birthday, we will always stay together. That, I promise! Good friends are hard to come by. Lifetime friends are even harder to find. Happy eighteenth birthday to someone whose friendship I will treasure forever. Dear, happy 18th birthday to you! Let us go and have some fun on this special day of yours. Thank you for being the sweetest friend I know! You are truly awesome. 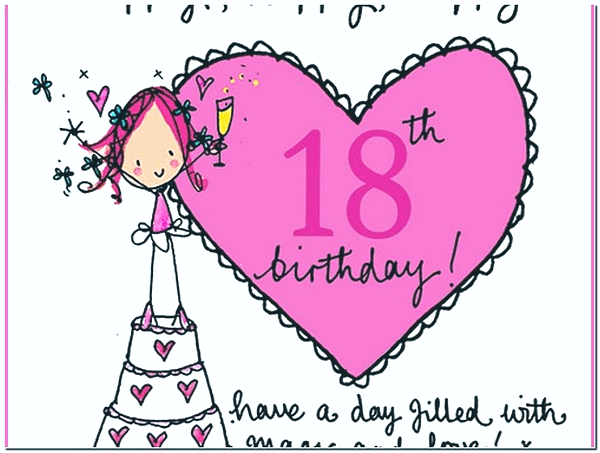 Welcome to adulthood, happy eighteenth birthday to you! Congratulations on reaching your first birthday being an adult. Happy 18th birthday! 18 is one of the best years in life for it signifies that you are now able to do adult things while acting like a child. Happy Birthday! Congrats, you are an adult now! This means more responsibilities on your part so don’t screw it up. 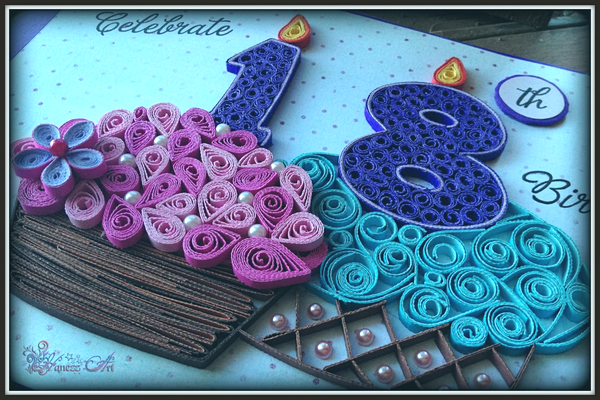 Just have fun and have a very happy eighteenth birthday! Eighteen is great and turning 21 is even better. But after that, you will surely want to stop getting older. Enjoy your day, have a happy birthday! Happy 18th! Prepare yourself and be ready to fit right in this crazy world of the adults. Enjoy yourself but do not go overboard. It’s your eighteenth birthday! Feel free to move around and do all things you want! Happy Birthday! Congratulations on finally turning eighteen! It has been a long road, I know, but I’m sure you are excited to see where your life is going to take you. Happy birthday! Do not believe if people will tell you different things. Turning 18 is actually one of the best things on earth. Happy Birthday! I wish the best for you on this eighteenth birthday of yours. I know you will feel great now that you are an adult. Happy birthday! Adulthood is certainly a great time when you can finally do all the things that you have ever wanted to do when you are a kid. So have fun, and enjoy life to the fullest! To the greatest friend I have. Happy 18th birthday! May all your dreams and wishes come true! Happy birthday! You are truly special and that’s why I love you. May your 18th birthday be filled with so much joy and happiness that you deserve! Turning 18 may be a big concern for you but I just want you to know how special you are to me no matter how old you will become. Happy 18th birthday to you! My dear daughter, you are officially an adult now. But remember that you will always be our little girl, no matter what. At 18, it is okay to think more about yourself and not of others. You are an old soul now so be prepared to face the world of adulthood. Happy Birthday! Happy 18th! Welcome to the wonderful world of adults. It is a crazy world, yet, it’s filled with so much happiness that you sure will look forward to! Happy 18th to you! You are now an adult and you can finally do things legally. These are the things that you were prohibited to do when you’re still a kid. Welcome to adulthood! Yes, I know I have said the same thing when you turned 12 years old but this time around, I truly mean it. Happy Birthday! Finally, you are now about to face a wonderful and challenging time of your life. I only have this advice for you – Be yourself because the world has certainly so much more to offer to you. Happy Birthday! Your eighteenth birthday is a wonderful time to celebrate. This is the day when you get to celebrate a great leap into adulthood. And you know what that means, right? So let’s party until you puke. Just kidding! Happy birthday! You should now act like an adult even if you feel like you are still a youth. Happy eighteenth Birthday! Happy eighteenth birthday! You will now know how it feels to be “legal”. It’s basically the same before, except you can now buy beer your own without ID to show! The word teen might be attached at the end of your age – eighteen. But this does not mean that you are still a teenager. You are now a grownup so it’s time to take on grown up things. Happy birthday! Happy eighteenth birthday! Now you have one rule to follow – don’t piss off the bartender or bouncer at the bar! Welcome to the adulthood! Now go on and make your bed and pick up your clothes. Happy eighteenth birthday! Happy 18th! May you live the kind of life like it is your birthday every single day! 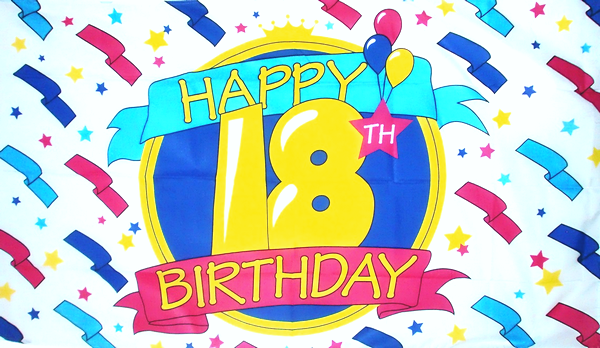 Happy 18th birthday to you! As your birthdays will come and go, may you always remember that growing old does not really mean growing up. It just means staying young. 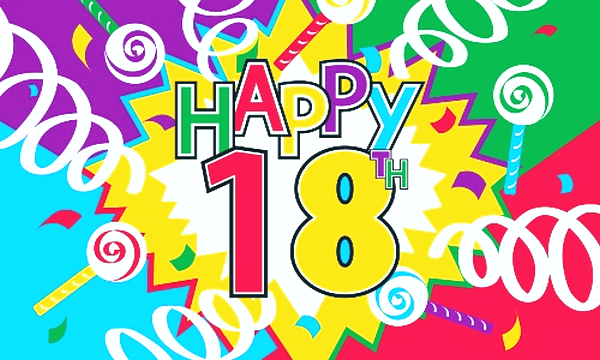 Happy 18th to you! Your adolescence is now finally over and there will no longer be any teenage angst to deal with. The best is about to come. Enjoy and be grateful, you are finally an adult! It is finally your 18th birthday! I know you have been waiting for this for so long. Now that it’s finally here… enjoy your day for you are about to face a crazy journey of adulthood. Happy birthday to the most beautiful 18 year old I have known. You have been a great kind and I know you will become that perfect adult I have envisioned. I know you have been itching to become an adult and I am really happy to be here with you on your eighteenth birthday. To the greatest friend ever, happy 18th birthday! I wish that your 18th birthday will be filled with so much fun that it will become an annual event. So let’s act like we are 18 for the rest of our lives. Happy birthday! We think that you are so special. You really mean so much to us so here’s wishing you all the love and a very happy 18th birthday to you! Here’s wishing you all the love and best wishes on your adulthood! I hope that your birthday will be very special. Happy 18th birthday! At 18, you might not feel like you are an adult yet but you should start acting like one. Not because you have to grow up, but because your parents now have the legal right to through you off your house! Just kidding! Happy 18th birthday! I only have one advice for you – every time someone will give you advice on life, never ignore it. 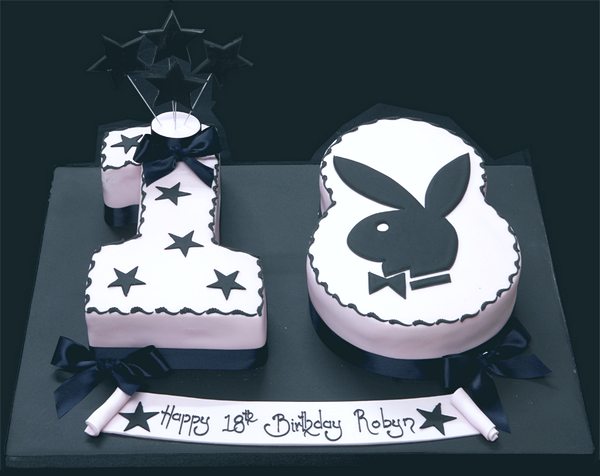 You are only eighteen once, so let us make your birthday epic. Let us make your birthday the first of the countless special days for this year. Happy eighteenth birthday! As your parent, I only have one legal obligation and that is to officially recognize you as an adult. Happy eighteenth birthday my dear daughter. Now that you are 18, may you easily climb up the ladder of success! I promise to support you in every way because you are so special to me. Happy 18th birthday! May every single day of yours be a celebration like what we have today! Happy 18th birthday! I know you have always wanted to be eighteen. Now that it’s finally here, enjoy your day and the future years ahead. Happy Birthday! Now that you are 18, I want you to know that an amazing life is coming your way. You are now about to journey in a great adventure of adulthood. Good luck and happy birthday! 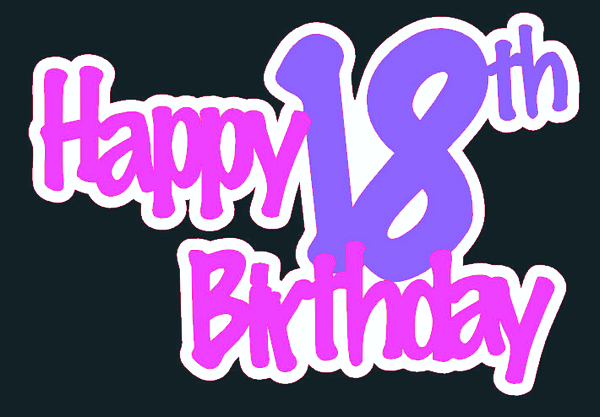 Wishing you all the luck and the prosperity on your eighteenth birthday. I also wish you all the good health and happiness. Happy Birthday! Little sisters are truly the best! Have a fantastic eighteenth birthday to you my little sis! Happy birthday to the most beautiful 18 year old lady that I know. You are truly a great lady and I know you can do even better when you start journeying in the world of adulthood. Happy birthday my dear daughter, we are so proud seeing what you have become. At 18, you can now start making every dream you have to come true. Here’s hoping that you will have the strength and the courage to take on the journey of adulthood. Happy Birthday! Congratulation on your 18th birthday, you’re officially ready to look after yourself from now on. Welcome to adulthood. It doesn’t matter how old you become, you’ll always be my sweet little girl. I wish you nothing but the best in future because you deserve it. Happy 18th birthday. The beginning of adulthood starts today. Dream big, remember your roots, and don’t be afraid of expressing yourself. I wish you the best for you on this 18th birthday. It’s been a long road and I know you’re excited to see where your life will take you from here. I feel so happy that you’re turning 18 today. Life is like a journey by boat and from today you’re officially ready to take charge of your own boat. Happy birthday sweetie on your 18th birthday. May your future be as bright as your smiles today and forever. Looking at you today, all I see is possibilities of tomorrow. May the life ahead take you on many adventures and give you all that you dream. Today you have reached a new milestone in your life. A wonderful life full of happiness, success and potential is waiting for you and you truly deserve it. Happy 18th birthday dearest. Welcome to adulthood! No matter what the future brings, I’ll always stand by you. I’m so happy to have you in my life and can’t wait to see what you do with your next 18 years. Today, you’re officially 18 years young. You can grow older but please never get old. Happy birthday. Today is the day you’ve waited for all these years in your life. Enjoy this special moment to the fullest as a welcome to the world of adults. At 18, your life has only just begun. It’s the perfect time to dream big, take giant leaps and reach for the stars. A wonderful, challenging and intriguing time of your life begins at 18.May you find the courage and strength to fulfill all your goals.